Canada has essentially the same grand strategic goals as most other developed nations; we want to have a secure and resilient nation able to shape a stable world. Canada's national security policy is based on the belief that there can be no greater role, no more important obligation for a government, than the protection and safety of its citizens. For all these reasons, Canada must have a functioning, effective Navy. In 2010, the Government of Canada announced the National Shipbuilding Procurement Strategy. This program is designed to replace the current surface fleet of the Royal Canadian Navy, which is reaching the end of its operational life. The Canadian Surface Combatant (CSC) project is designed to renew the Royal Canadian Navy surface combat fleet by replacing the capabilities provided by the destroyers (Iroquois-class) and the multi-role patrol frigates (Halifax-class). The CSC project expected to be the largest and most complex shipbuilding initiative in Canada since World War II. The problem with the Single Class Surface Combatant Project, as it is sometimes known, is that it appears to procuring the wrong ships, in the wrong way, for the wrong reasons. The Single Class Surface Combatants are expected to be the new workhorse of the RCN, designed to replace three Iroquois-class destroyers long past their expected service life and a fleet of 12 Halifax-class frigates which currently are expected to be retired by the end of next decade. The problem with replacing our legacy ships with similar vessels is that the world they were designed to deal with no longer exists. It has been pointed out that the new ships are meant to recreate a fleet structure originally geared to providing an anti-submarine warfare (ASW) capability against Soviet subs during the Cold War. More to the point, they were designed for blue water operations against Soviet era main force naval units as part of a US Navy lead strategy to confront and attack the Soviet Union. 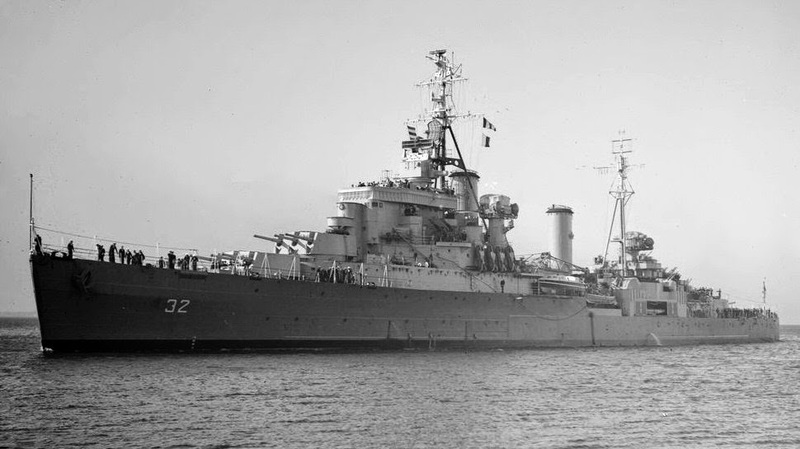 In the end, Canada became the proud possessors of what amounts to a cruiser fleet. That world is gone. By 2020, over 80% of the world’s population will live within 100 miles of the sea. At present 147 (over 75%) of member states of the UN, are coastal states. Most of these states have extended their jurisdiction out to sea, in many cases as far as 200 nautical miles or more. Most human maritime activity – shipping, fishing, hydrocarbon exploration etc – is currently conducted within a 300-mile zone. This means that a substantial proportion of the world’s economic and political activity is being conducted in a narrow strip of land and sea (the littoral) on average no wider than 300 miles. Not only will the littoral be threatened by the consequences of climate change, it will also face the effects of extreme weather and other natural events, all of which will have a negative impact on these heavily populated littoral regions. It can only be assumed that a high proportion of future tensions and conflicts will occur inside, or adjacent to, zones of maritime influence, in other words, the littoral regions. The replacement vessels Canada is planning will be somewhat larger than the existing Halifax class, and presumably provide a wide-area air defence capability, anti-submarine warfare capability, as well as anti-shipping capability. These large and expensive ships will not be suited to the needs of warfare in these regions. Another problem with building these large ships is that not as many can, or will, be built. Baring a shock event, or a major military challenge, defence resources available will remain, at best, constant. It can also be assumed that the rising costs of fighting power will mean that platform costs will go up, which means overall numbers must go down. Historical experience suggests that it is unlikely that all 15 ships can be built within the currently envisaged cost envelope. This means a smaller navy. We must escape the dilemma of escalating platform and personnel costs causing ever decreasing numbers. If it continues the RCN will be unable to fulfill its peacetime roles of international engagement and maritime security, while in war it will not have the impact required to assure Canadian strategic objectives can be reached. Canada is embarked on a program which will deliver an insufficient number of the wrong kinds of warships. It is not too late to change course. Mark Collins – What Is the RCN For?